The Mahindra Group focuses on enabling people to rise through solutions that power mobility, drive rural prosperity, enhance urban lifestyles and increase business efficiency. Mahindra & Mahindra, at the Autoexpo 2016 recently showcased its automotive sector’s complete range of mobility solutions. The product display included the unveiling of an XUV Aero – it’s all new concept coupe, display of SsangYong’s best seller, Tivoli as well as the launch of the e2o Sports and the new range of trucks under the new ‘BLAZO’ brand name. The Mahindra XUV Aero is all about challenging the mundane and rising to conquer new horizons. The concept epitomises boldness and performance. Designed in-house at the Mahindra Design Studio in Kandivali, Mumbai, India, the XUV Aero takes the spirit of the cheetah and gives it an urban manifestation of the beast; a coupe cross-over with an aerodynamic silhouette, a butch stance and bold graphics. 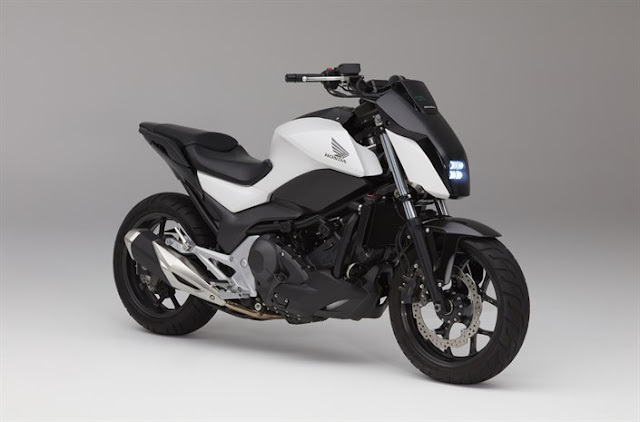 The beast is aided by multiple drive and suspension modes – Race, Off-road, Street and Sport. The high power-density mHawk 210HP engine houses a Next Gen turbo boost delivering high torque and power output. It has advanced combustion system with low pressure EGR adaptability for improved NVH and better fuel efficiency. With 0 to 60 in under 6 seconds, this engine is sure to get spirits soaring to a new high. SsangYong Tivoli, a compact SUV launched in January 2015 which offers an attractive experience as “My 1st SUV” to those who want both style and practicality in their cars. Tivoli has dominated the Korean compact SUV market since its launch and has also gained recognition from overseas markets including Europe. 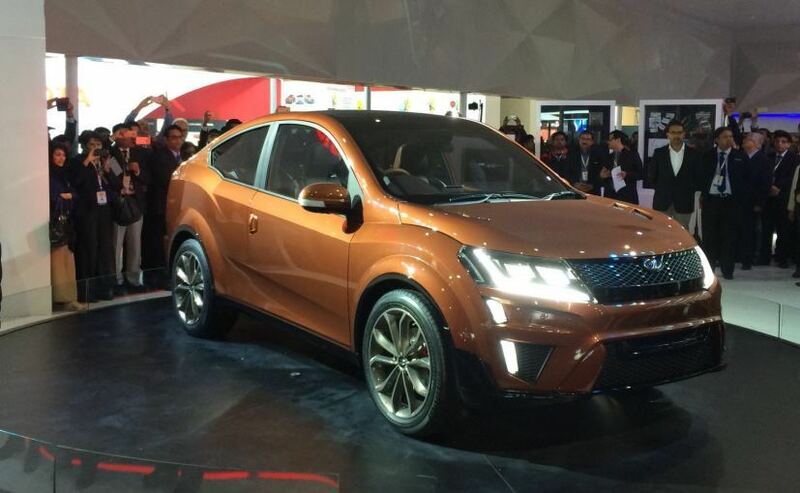 Mahindra unveiled its all electric sports performance car, the e2o Sport. It brings together an unbeatable range of 200km with supreme performance of an 80 KW power train. Some unique features of e2o sports are its instant acceleration of 0-60kmph in 4 sec (0-100 kmph in 8 sec) and 384V – high voltage power pack. 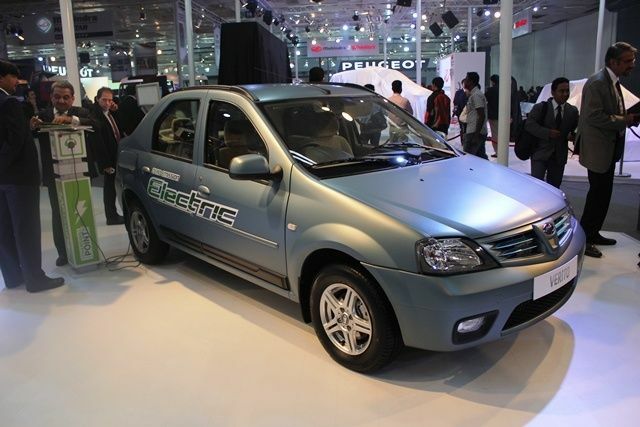 The Mahindra Electric Verito sedan is powered by the latest electric drive train from Mahindra Reva, it is a 100% zero emission, green vehicle. The automatic transmission Mahindra eVerito sedan can be charged at home and can also be quick charged in 2 hours through fast charging. The Supro Electric Van is an 8-seater zero-emission mini-van powered by advanced lithium-ion batteries. Capable of covering a distance of 100 kilometers on a single charge, the Supro Electric Van is fully-automatic and can hit an electronically limited top-speed of 50 kilometers per hour. It is suitable for all weather conditions and is built to high standards of safety and reliability. In addition, Mahindra also announced the launch of its new HCV truck series, ‘BLAZO’ with Fuelsmart Technology backed by a superior mileage and service guarantee. The BLAZO series includes haulage, tractor trailer, and tipper vehicles and introduces for the first time, the CRDe engine coupled with multi drive mode features. The Multimode feature will have three modes – Turbo, Heavy and Light, and the driver can switch between these as per the load and road conditions. The existing range of HCV trucks comprising of TRUXO multi axle trucks, TORRO Tippers and TRACO tractor trailers will continue to be available in its entirety.